eet the Jones family of professionals, dedicated to honoring your family and cherishing your memories. The Jones Family has owned and operated the Friedrich-Jones & Overman-Jones Funeral Homes since 1977. Ray resides in Naperville with his wife Marilyn where he raised his three children Dave, Stephanie and Dan. Ray is a longtime member, usher and 3rd degree Knight of Columbus at SS. Peter & Paul Catholic Church. Ray was born and raised in Joliet. 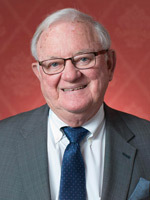 He is a graduate of Joliet Junior College class of 1964, Joliet Catholic Academy, formerly Joliet Catholic High School class of 1961 and St. Patrick's Catholic School in Joliet class of 1957. Ray is a well known community leader and philanthropist, serving on many boards and heading numerous charitable fundraisers. Most notably serves as chairman and originator of the St. Patrick's Residence “Gold Key Gala” and SS. Peter & Paul Catholic Church's largest fundraisers and capital campaigns “Light the Way” and “Pass It On.” He is a current board member of St. Patrick's Residence and 1st Community Bank of Naperville. He was formerly a Commissioner of the Naperville Police & Fire Board. He has formerly served as a board member of Edward Hospital, Naperville Little Friends, Naperville Little League, Naperville United Way and Loaves & Fishes. When Ray is enjoying his free time you can find him golfing at Cress Creek Country Club or out and about with his 8 grandchildren. Dave has served as a co-owner since 1996 and as a licensed funeral director and embalmer since 1995. He holds a Bachelor of Arts degree from the University of Iowa class of 1993. Dave holds a diploma from Worsham College of Mortuary Science class of 1994, Benet Academy in Lisle, IL class of 1988 and SS. Peter & Paul School in Naperville class of 1984. Dave was born and raised in Naperville and continues to reside in Naperville with his wife Nicole and their three children Ben, Samantha and Anna. He is an active member, host greeter and former board member serving on the “Journey of Faith” funding raising campaign at St. Thomas the Apostle Catholic Church in Naperville, IL. He is an alumnus and a parent member of the SS. Peter & Paul School family where his children Ben, Sami and Anna attend. Dave is active in the communities we serve. 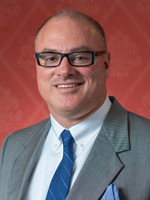 He has served as a board member for the Plainfield Area Chamber of Commerce since 1998. He is the founder and co-chairman of the Plainfield Harvest 5K Run/Walk since 1999, raising over $150,000 for various area charities. He is a member of the Naperville Exchange Club and a longtime Ribfest volunteer. In Dave's free time he enjoys training for the Chicago Marathon, watching sporting events and spending time with family. 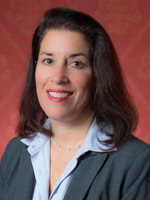 Stephanie has served as a co-owner and pre-planning consultant since 1996. She was formerly a tax consultant at Deloitte & Touche in Milwaukee, WI. She holds a Masters of Science degree in Accounting from the University of Wisconsin, class of 1995 and a Bachelor of Science degree in Business Administration from Marquette University, class of 1991. She is a Certified Public Accountant. Stephanie holds a diploma from Benet Academy in Lisle, IL class of 1988 and SS. Peter & Paul School in Naperville class of 1984. Stephanie was born and raised in Naperville and continues to reside in Naperville with her husband Jeff and their three children Jake, Will and Julia. She is an active member and lector at St. Raphael Catholic Church in Naperville since 1996. She has formerly served on the St. Raphael Adult Faith Formation Commission and as a sponsor couple working with engaged couples on their marriage preparation. She is a parent member of the St. John's Northwestern Military Academy family in Delafield, WI where her son Jake, class of 2019, attends. She is a parent member of the Covenant Classical School family in Naperville where her children Will and Julia attend. Stephanie has volunteered her time at Covenant serving as a room mother and lunch helper. In addition, she was instrumental in developing Covenant's Trivia Night Fundraiser and coordination of business sponsorships. Stephanie is active in the communities we serve. She is a member of the Naperville Noon Rotary Club and the Naperville Garden Club. She served on the Board of Directors for SamaraCare (formerly Samaritan Interfaith) for 6 years from July 2012 to June 2018. Stephanie continues to serve on the committee for SamaraCare's "Silent Samaritan Breakfast." She is a dedicated member of the St. Patrick's Residence Guild since 1996, serving as Treasurer and Vice President for over 12 years. She has chaired and co-chaired St. Patrick's Residence Guild's largest fundraiser the “St. Patrick's Day Party” and is a proud recipient of the The Claddagh Award. Stephanie and Jeff are Life Members of the Abbott Marmion Society. Stephanie has been an advocate for The Education Center of Naperville where she and her husband Jeff are recipients of The Kids Best Friend Award. She is a former board member of the Ecumenical Adult Care Center in Naperville, Naperville United Way and Naperville Community Outreach (NCO). Stephanie enjoys active family bike rides and rollerblade outings. She can be found on the tennis court or reading for book club in her free time.